A recent favorable opinion by U.S. Supreme Court Justice Anthony Kennedy plus increased action in Congress have made it more likely than it has been in 50 years that out-of-state retailers will be forced to collect sales taxes in states where they don’t have a physical presence. Half a century ago, of course, the volume generated by such sellers, who did their business via catalogs and snail mail, was tiny compared to the sales spawned by the rise of the Internet. It’s that massive change ..
States should be able to require remote sellers to collect sales taxes only if the seller's burden is minimal, says attorney Arthur R. Rosen. The states’ frustration with out-of-state sellers not collecting and remitting sales and use taxes on sales made to those states’ residents is nothing new. There were major cases litigated as far back as the 1930s involving mail order sellers such as Sears and Montgomery Ward. Attempts to address this situation through federal legislation have been made several times over the past several decades. So what’s new? Why is there so much attention being paid to the current Marketplace Fairness Act, the Remote Transactions Parity Act, and the Online Sales Simplification Act? Two reasons. First, while there may be no legally meaningful distinction between sales made through a catalog and those made on the Internet, the latter represent a much greater portion of American economic activity than the former ever did. Second, state governments are now acknowledging (perhaps “confessing”) that their arcane, vastly differing sales and use tax laws and administrative positions are virtually impossible for a remote seller to follow. Deciding whether to support federal sales tax legislation – and, if so, which bill to support – is not all that complicated. Actually, one’s analysis can be quite straightforward if he/she follows the following framework. The single fundamental aspect here is that the tax being sought is to be paid by purchasers to their own home governments. If the purchasers have decided, through their own elected officials, that tax should be imposed on certain transactions at certain rates, then those purchasers surely have an obligation to pay the tax. In other words, a seller is not being asked to pay any tax but “merely” to collect the tax and remit it to the purchaser’s government. Accordingly, the only rational and intelligent debate on this subject is the validity of the use of “merely” in the preceding sentence: How much of a burden is appropriate for a government to impose on sellers who operate outside that government’s borders but that are sending goods (physical or digital) or providing service to residents within those borders? At one end of a continuum would be a rule that every seller is subject to the laws, rules, and jurisdiction of every government of every customer’s state (and, perhaps, locality). On the other end of the continuum would be a rule that only the states where the seller has a meaningful physical presence should have jurisdiction over that seller and could, if it so chose, impose a tax on the seller’s sales no matter where the customers are located. It seems to me that the best approach is to allow the purchaser’s state to collect appropriate sales tax revenue from their resident purchasers, using remote sellers as collectors of the tax if, and only if, (1) the burden placed on sellers is relatively minimal and (2) the degree of legal jurisdiction the purchaser’s state has over the remote seller is carefully circumscribed. Minimizing the collection burden is at the heart of the MFA and the RTPA. Both would require states to simplify and harmonize their sales tax systems as a prerequisite for their being permitted to require remote seller to collect the tax. The RPTA promotes an additional mechanism to ease the burden of remote sellers by providing third-party firms – certified software providers (“CSPs”) – with certain obligations and protections. Sellers that use a CSP are largely insulated from exposure to liability for errors made in collecting tax from their customers. Consequently, there should be only very limited exercise of jurisdiction over the seller by the purchaser’s state. OSSA’s fundamental principle is that the purchaser’s state should have absolutely no jurisdiction over a remote seller. While this certainly is in line with maintaining states’ rights and respecting traditional notions of due process, the approach taken by the bill is administratively cumbersome, largely reverses the traditional sales tax concept of its being a consumption tax, and is unlikely to lead to a meaningful degree of national uniformity. MFA takes a middle ground, requiring simplification and harmonization, but still leaving remote sellers subject to the whims of governments whose borders they never cross. My personal favorite? It doesn’t exist yet. It would be RTPA with those modifications: (1) state laws (such as click-through nexus statutes) seeking to impose collection responsibility on remote sellers would be preempted so as to achieve national uniformity by ensuring implementation of the RTPA’s requirement by all sales tax states; (2) a federal court would be granted exclusive jurisdiction to decide disputes arising under the act so that the law is interpreted and applied uniformly throughout the country; (3) protections against multiple audits for sellers that don’t use CSPs would be provided; and (4) some additional simplifications, such as those pertaining to exemptions, would be added to the prerequisite. Of course, the perfect solution would be for Congress to retain me to draft a uniform sales and use tax law (that would contain several options that states could elect to incorporate so as to maintain the appropriate level of state sovereignty) and then only those states that adopted it would be able to require remote sellers to collect and remit. I am waiting for that call from Washington. 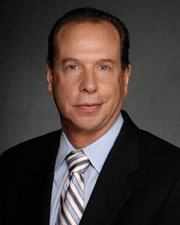 Arthur R. Rosen is a partner with McDermott Will & Emery.